Cabled and in adult sizes, male and female. This is a versatile and practical knitted hat which looks fairly complex but is really easy. Two key features are: it uses only 2 balls of aran yarn; and it is very quick to make. 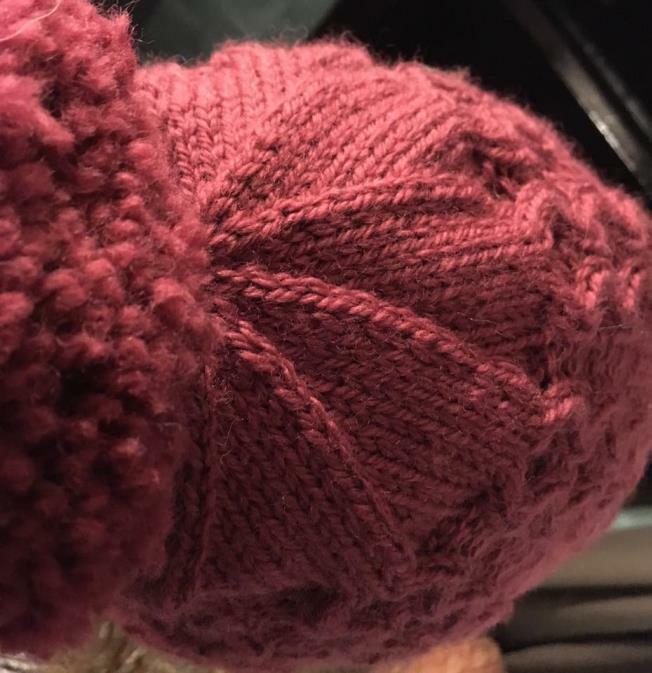 You can change it by striping the work, adding a pom-pom, or a tassel at the crown, or a simple knitted flower can be sewn on. 5mm (5.5mm for man’s hat) needles to knit in the round. I used a long circular to knit Magic Loop but you could also knit this on DPNs (longer length needed for most of the hat), or on two short circulars.